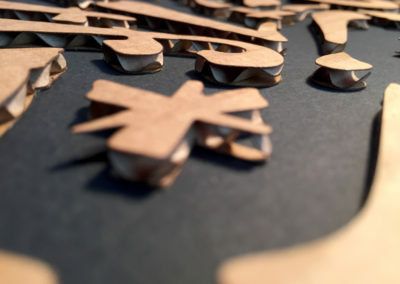 Character sets of typefaces are designed as a system of shapes. 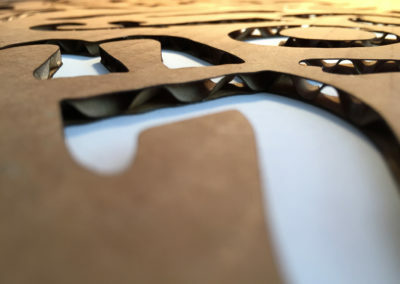 In this project I investigated how the system could fit together in compositions rather than seeing them as legible words in sentences and paragraphs. 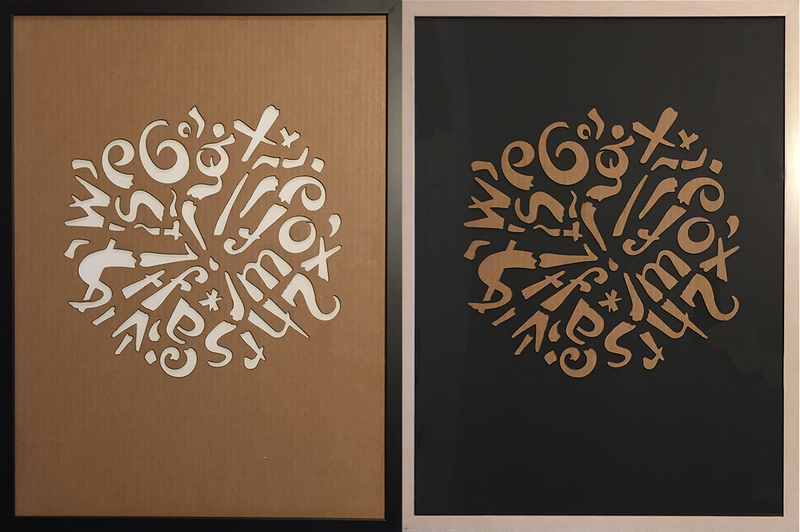 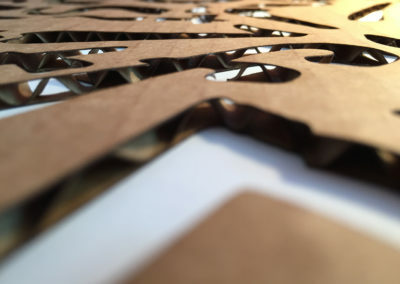 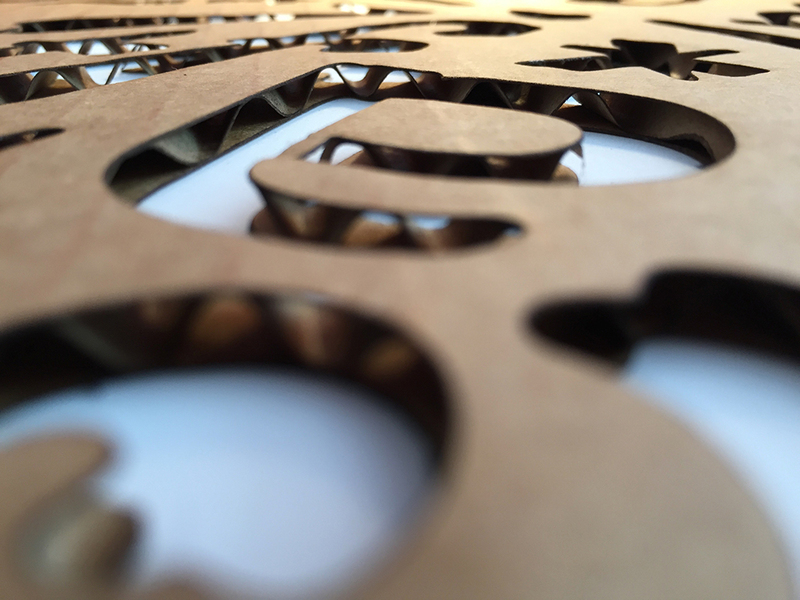 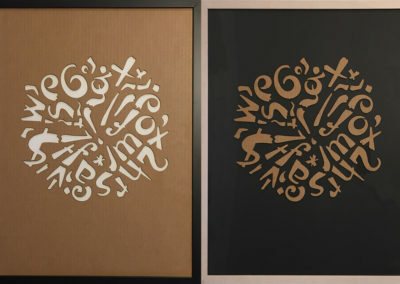 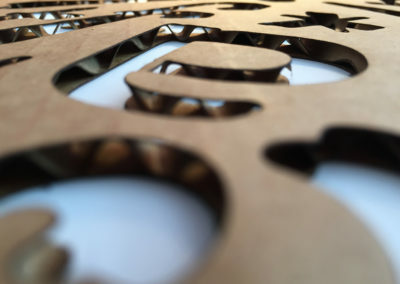 This diptych is laser cut from one sheet of cardboard. 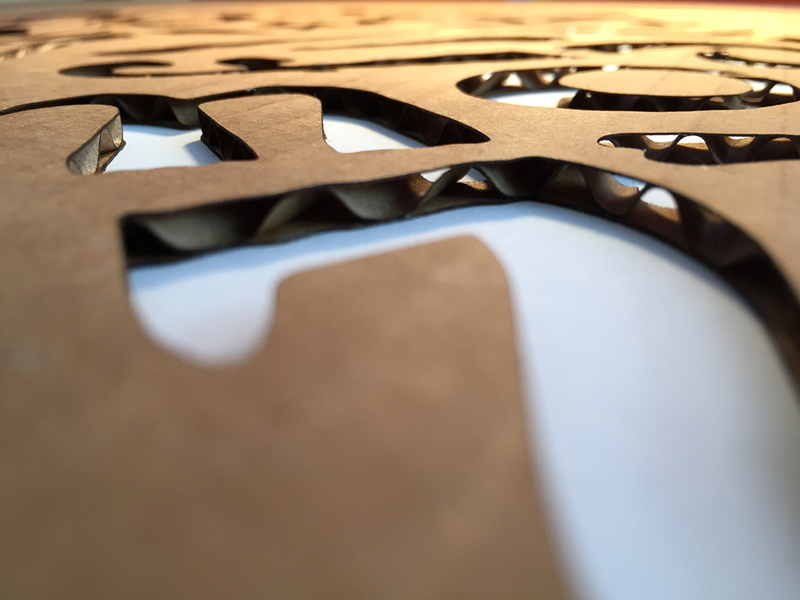 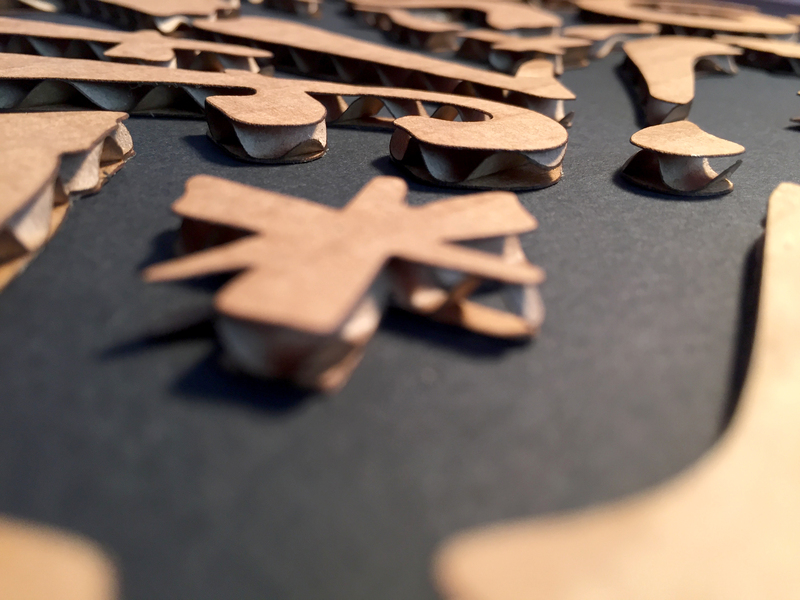 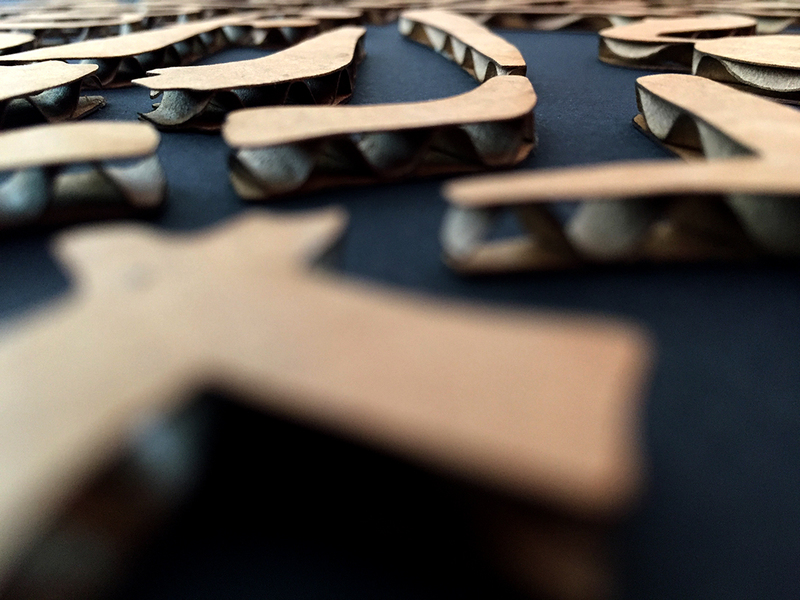 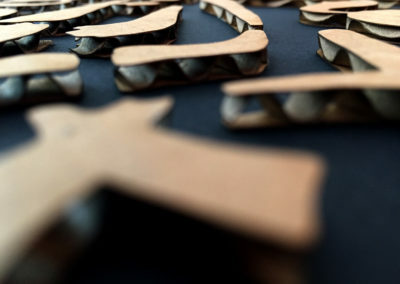 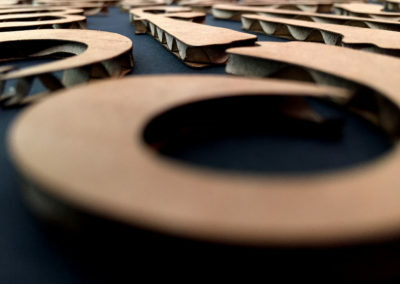 The image that the laser-cut is based on is one of the type transfer experiments.